It is very interesting to know the difference between SEO and SEM.But before we study about the difference, lets get to know what is SEO and SEM and its functions. SEO is Search Engine Optimization.It is a process for improving the visibility of a website or web page in the search engine through the natural and free ways. At basic level, SEO is a process that can change, modify your web design , edit your content and promote your site by increasing the number of inbound and outbound links. It efficiently works on what internet users are searching for. Whereas, SEM is Search Engine Marketing, it is a process that works on target paid listing. SEM is use for attracting millions of customer to your site, it includes the use of paid directory listing,pay per click ads , banner ads , etc. Now, the difference between them is that SEO technique process through unpaid search result, it is also regarded as organic whereas SEM process through target paid listing in search engines. SEO helps in improving your website ranking in SERP by building relevant links, using keywords for specific description like using ALT attribute for image tagging,well description by META tag and engaging with heading of the topics being searched. SEO may target different kind of search including video search, image search, local search and industry specific vertical search engines. SEO may effectively use to describe menus, content management system, shopping carts and other elements that are being optimized for search engines exposure. It is always better to get the right structures and features of your website first when you optimize your site with search engines. Once you complete building your site with innovative facilities and making it SEO friendly, you have to submit it to directories. Some directories may be free and some will be paid. Choosing an appropriate directory for your website would be a wise step. After this, you can follow up with using paid advertising for your site that is the functioning of SEM, to appeal a lot of customer and enhance their interests towards your website and business. Thereby, you can start creating your customer database. SEM technique is very much related to customizing your site by advertising your products and services through search engines. Further, outsourcing your pay per click ads and banner ads can be carried out successfully to survey and study the progress of your business from time to time. 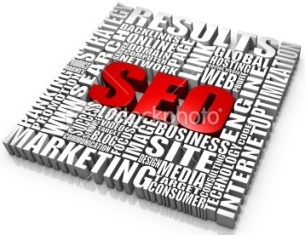 Search engine optimization (SEO) is a component of search engine marketing (SEM). SEO works with your website to make it more friendly with your visitors without taking much time while SEM garnish your website to get high ranking of your web pages on search engines starting from search engine optimization services to requesting back links to URL submission at engines. Webmasters regarded SEM as more valuable than SEO, because it includes optimization together with marketing strategies. With this clear difference of SEO and SEM in mind, you can start an online business without any confusion and easily notice of what are your needs and requirements in building a good website. Having a clarity of these common terms SEO and SEM, you can proceed to those companies who provide these services with confidence. Feel free to comment and let us know what do you think. Author Bio : This post is shared by Priyal Chugh. He works as an SEO Intern for Invoicera,an online invoicing & time tracking software. Also read:What do no follow and do follow mean?